Today, i am focussing on 2012 Essentials, and Windows 10. Here is the overview table from the Blog Post. Installing the connector on Windows 10 should be fully supported, and work perfectly according to Microsoft. Sure enough, the connector install went as smoothly as possible, and client showed up in the Dashboard . 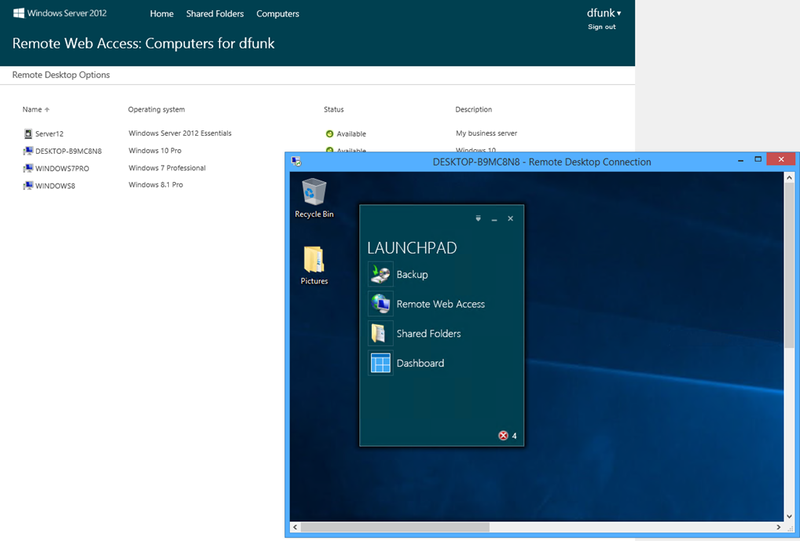 No issues opening the Dashboard from the Windows 10 client either. 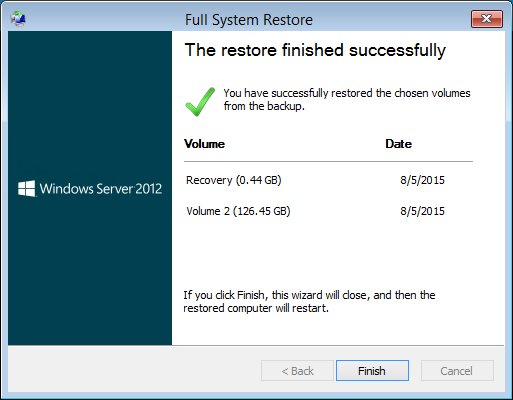 A manual backup worked successfully, and took around 15 minutes. 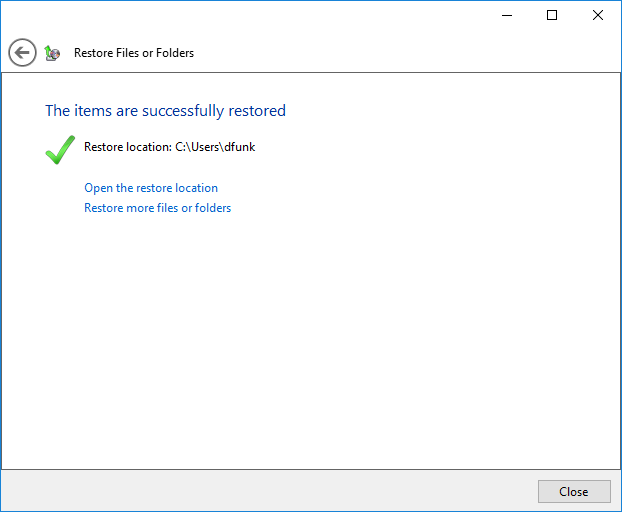 A simple restore also worked without any issues, remembering you need to launch the Dashboard on the client PC itself, not the server. I will leave the Bare Metal Restore (BMR) until a little later. Now we can take a look at the RWA feature, which provides remote access into our workstations and files etc. 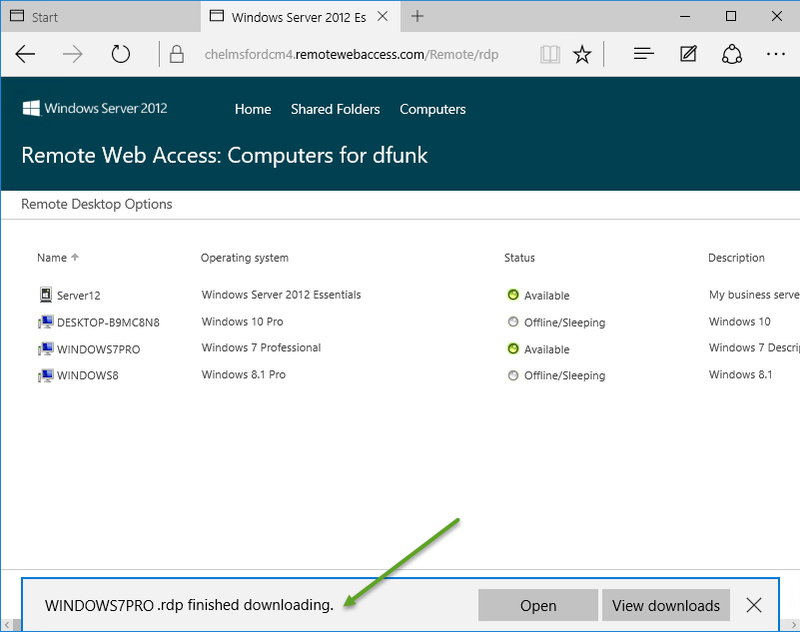 I am going to attempt to RDP into my Windows 10 client. A good start is that it shows as Available. Clicking on the PC connects us without any issues, just the usual SSL confirmations and authentication prompts. I have to be honest and say this puzzled me somewhat. 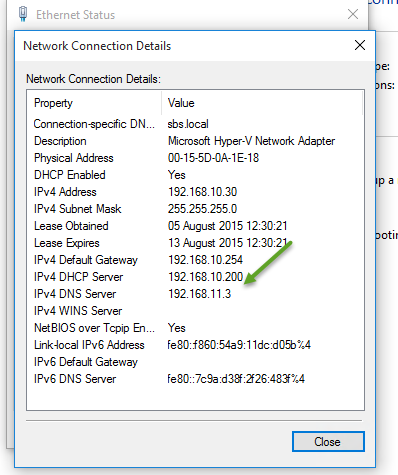 If you read my post on SBS 2011 and Windows 10, you will have seen that RDP connections were disabled and i had to enable a GPO to allow them. It is possible of course that part of the 2012 Connector install switches this to ‘On’ for that very reason, However it is worth also noting that it has been enabled with the less secure option to ‘not require NLA’. 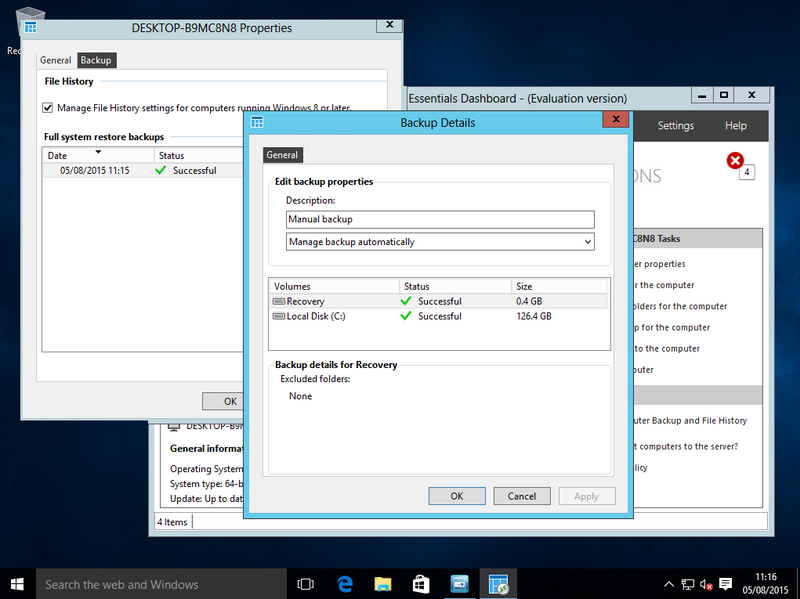 The next test requires moving the Windows 10 out to an external network. Actually this is two tests, firstly to see if the LAN Configuration Service works, second to see how RWA performs from the Windows 10 client. I am happy to say that the LAN Configuration Service does appear to work in this instance. Of course you are given the opportunity to disable that Service if you choose to. 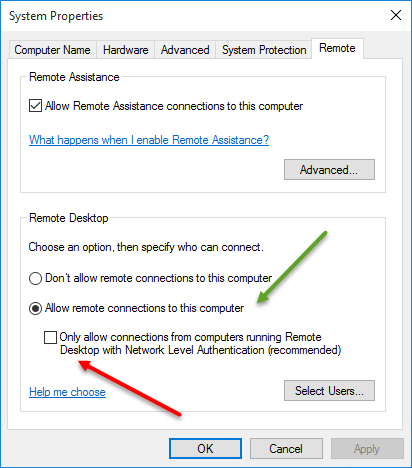 So moving on to the Remote Desktop test, as with SBS 2011 Essentials, clicking on a PC in the RWA screen will generate an RDP File. Bit of head scratching, and of course the culprit was DNS. After fixing that, we can connect as expected. I had lots of fun and games with 2011 Essentials and BMR so i am hoping that 2012 will be a bit easier! Indeed it was a lot simpler to do a BMR with 2012 Essentials, and again, it worked without issue. So the last thing to look at is renaming the client PC. When i looked at this recently it was a straight forward operation so how does that compare to Windows 10? If you are interested in modifying your WMI filters for Windows 10 please see my post on Essentials 2012 R2. That about sums up Windows 10 and Server 2012 Essentials, unless you can think of anything else? Mine can’t connect. 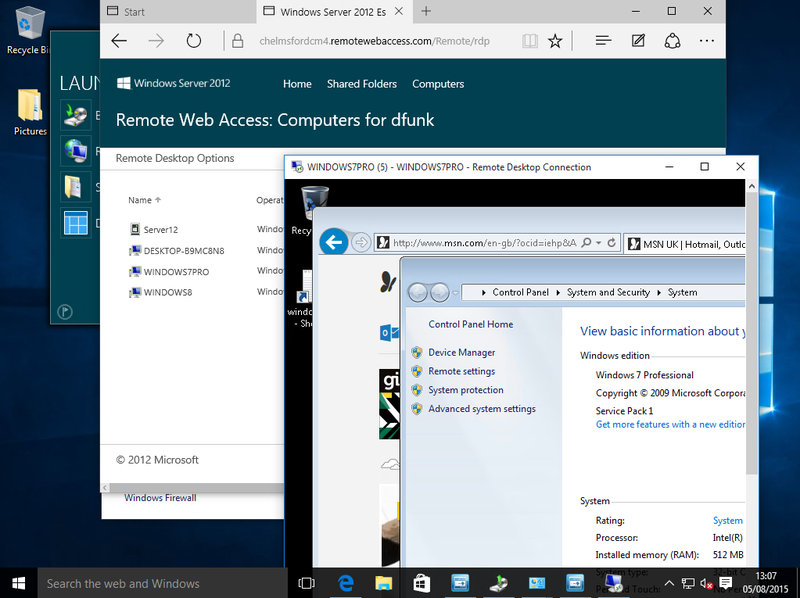 I’m running Windows 10 Pro and Windows Server 2012 Essentials. Any specific settings? All I get are errors about not finding the server, or it just can’t connect. The Connector software can’t seem to be downloaded from Microsoft, only directly from the server. I’ve tried many variations and ways to no avail, and most tutorials or tips are geared toward Windows Server 2012 Essentials R2. Essentials 2012, should work without any tweaks. Did you find a solution to this? Mine is doing the same thing. 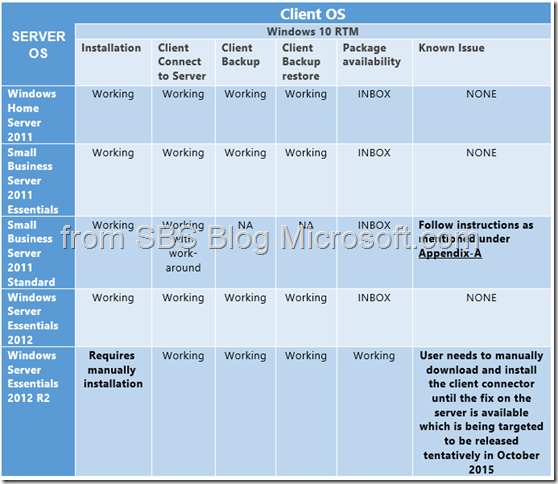 Same problem with Windows Server Essentials 2012 with Windows 10 tablet. Just a blank page after entering http://servername/connect in internet explorer. Tried it in Chrome and the page loaded. It says to download connector software for window 7 & 8 but not 10. Where do I get the download for 10? 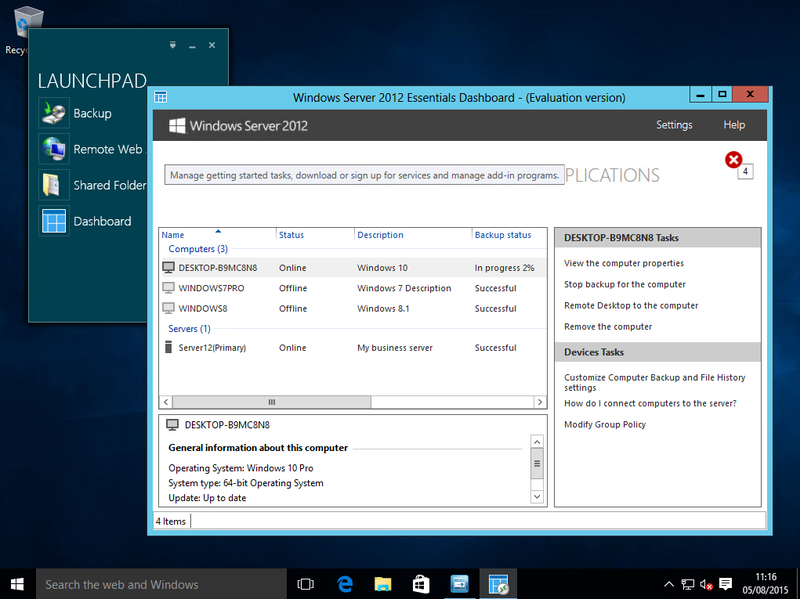 Essentials Server 2012 supports Windows 10 with no adjustments, but you need to make sure the server is fully patched and up to date. Are you able to try installing .et 4.5 manually first? I can not remove computers from the dashboard server 2012r2 I get a message that there is something wrong with the backup database. how do I fix? I would open a thread on the TechNet Forum, https://social.technet.microsoft.com/Forums/windowsserver/en-US/home?forum=winserveressentials, post your Dashboard Log file. 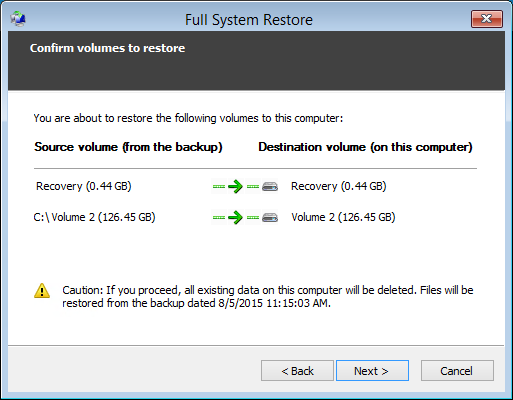 Have you tried to do a restore of a file to see if that succeeds?